Are you a sysadmin, do you know one, do you plan on hiring one or are unable to communicate with yours? Since 1999, the year in which Sysadmin Day was set on July 29th in the US, this position is one that attracts hard-working, problem solver individuals, but comes with a few particular challenges, both for employee and employer. 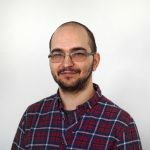 The role asks for long hours at the office, keeping up to date with the latest news in the field (or just the developer’s neverending ideas for improvement, whether they’re needed or not) and of course, making sure the system works, everything is backed up, the network runs smoothly et al. Let’s see what are the biggest seven sysadmin challenges in daily life. And how you can overcome some of them, if „sysadmin” is the role you have. This articol is also useful for people working alongside sysadmins. Then again, this is a challenge all workers in all fields encounter, from sysadmins to developers, online business owners or start-up managers, to give a few examples in our area of expertise. For sysadmins though, this is number 1 some of them. Well…most of the time. If you do your job properly, for any uninformed party it seems you have done nothing at all. Even if you did. If something breaks? It’s on you. Also why do you spend so much time on Reddit if you work so much? 3. You need to work faster AND smarter. Once upon a time it was accepted that a developer or a sysadmin would work longer hours, because there are many platforms to maintain and many issues that could arise. Fortunately, for a sysadmin there are plenty of automation tools, you just have to pick the right one. You can start with managing your servers in one interface, easy to use, with setup automation. No matter if they’re at Amazon, at Rackspace or in the company basement, you can manage your servers in one dashboard. This will save up a lot of time, so you can meet challenge number 4 properly. This one is tricky, be warned! In half the cases a sysadmin’s boss or colleague knows somewhat that back-ups are important, but they don’t know how important or how hard they are to do properly. In the best case scenario, where the company has been affected by this issue in the past and now treats the topic with the utmost importance, you can still be the sysadmin with a biiiig problem in your hands. (Which ties back to challenge 1, 2, 3 and 4). “When I did smb contracts I had a client whose previous IT contractor had set their business (which consisted of a P2 running Access basically) up with a sweet backup system onto DVD. The owner followed the instructions he was given meticulously — right down to taking the DVD home on Friday in case of disaster at the work place. I was impressed! Read the conversation starter and notice the poor sysadmin is not only a sysadmin but the developer, general IT guy and sometimes web-designer. After months of growing the business and improving every process, the owner didn’t see any major improvements and is now worried that he’s paying an “IT guy” for nothing. Challenge no. 2, folks! How can you solve these age-old issues? If your direct supervisor or the person you report to does not have a very good grasp on what you do, try to work on a platform that’s user-friendly to the general public and spend a few hours explaining what exactly you’re doing and what are the risks if you stop doing what you do. You know there’s plenty. And that’s challenge number 5! 5. The network is down! No emails! No internet! No Skype! No actual work being done and deadlines missed! Or, if it happens at night, when all employees are sleeping soundly or partying loudly, a critical service is no longer running. What do you do? Head to the office hurriedly and pray for the best? Try and save your personal time for yourself and use a tool that allows you to do that. For example, ClusterCS has automatic service restarts and reports, so you can rest easy knowing that no server will experience an unnecessary downtime and that you can see what went wrong and where. Every industry has a few buzzwords that started with something useful and are now just a craze adopted by company execs trying to stay ahead of the curve or keep up with the Joneses. Most likely, the reason why you’re eye-rolling is because a tool like the Cloud is either over-hyped or really not the right solution for your business. Or it could also be the fact that they were so used over the past few years that they became the perfect example of semantic saturation. We explore more pros and cons of the whole Cloud phenomenon here. Even if you’re the only sysadmin/ IT guy/ tech wizard in your workplace or you’re one of a team of many talented, similar-minded individuals, you will troubleshoot a printer once. After the countless man-hours spent maintaining servers, automating tasks, improving workflow, speeding up the website or really managing a crisis, for some coworkers, you only become the hero once you fix the printer. How’s that for a challenge? We’re sure this list could go on and on but here ends ours: it’s your turn! 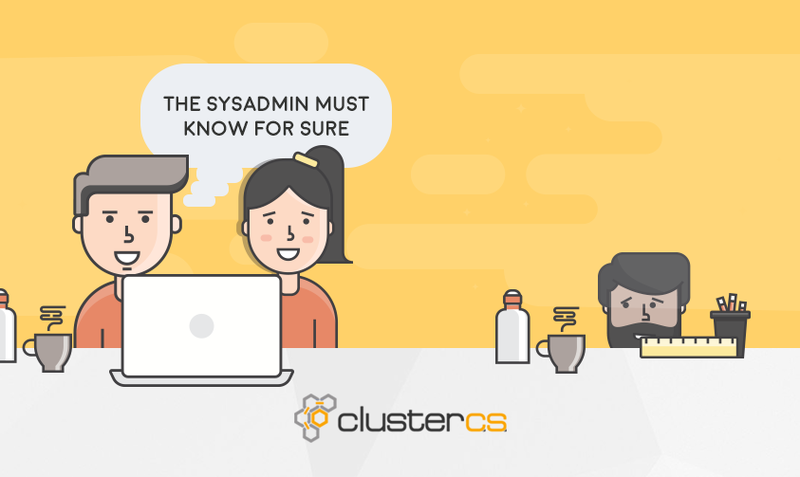 Tell us one big challenge being a sysadmin or working with a sysadmin and join the conversation below!